You can easily add bullet points in a cell Excel (Yes.. easily). Until I knew this trick, I used to put a dash (-) or arrow greater than (>>) at the beginning of the text, and that could sometimes be a pain. I always wondered why was Excel devoid of such a basic functionality. But that was just my ignorance. 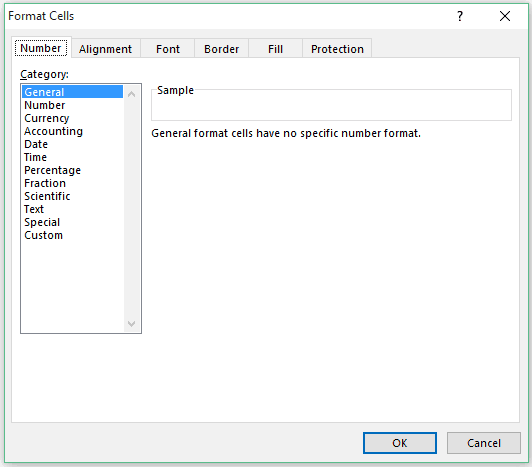 There is not one, but many ways to add bullet points in a cell in Excel. In this tutorial, you’ll learn various ways to insert bullet points in Excel. While all these methods are quite simple, you only need to know a couple to get your work done. You can quickly insert bullet points in Excel using the following keyboard shortcuts. Note: Once you have the bullet in a cell, you can copy it like any other character. 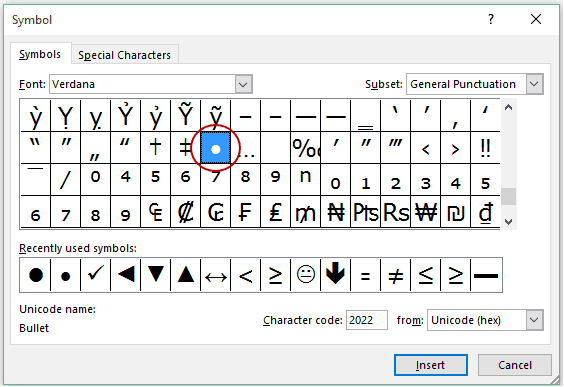 You can use the Insert Symbol option in Excel to insert bullet points in Excel. 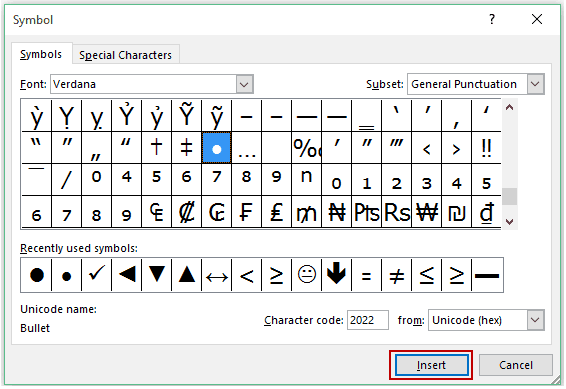 In the Symbols dialogue box, within the Symbols tab, select the Font. 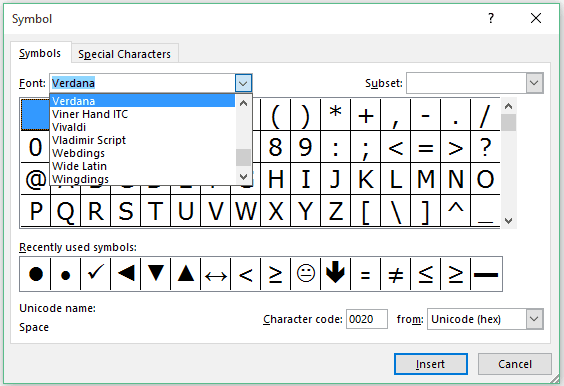 Scroll down the symbols list and select the bullet you want to insert. This will insert the bullet in the selected cell. Once you have the bullet in a cell, you can copy paste it wherever you need it. You can also use the CHAR function to insert bullet points in Excel. If you enter =CHAR(149) in Excel, it automatically gets converted into a bullet. CHAR(149) inserts the bullet and a space character ensures there is space after the bullet and before the item name. This one is awesome. 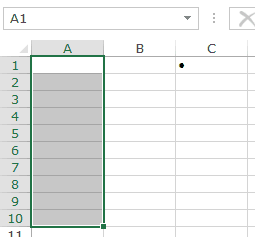 You can use custom number formatting to automatically insert bullets in excel as soon as you enter anything in a cell. What’s working here in the back end is a nifty custom number formatting trick. 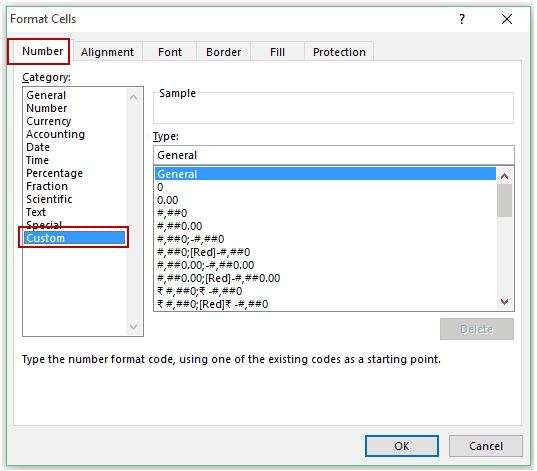 Using custom number formatting, you can specify how each of these data types would be displayed in the cell. Using this, I can customize cells so that a bullet is automatically displayed as soon as you enter anything in it. In any cell, insert a bullet (use the shortcut or insert symbol technique shown above). Double click on the cell that has the bullet (or press F2 to get into the edit mode), select the bullet and copy it. 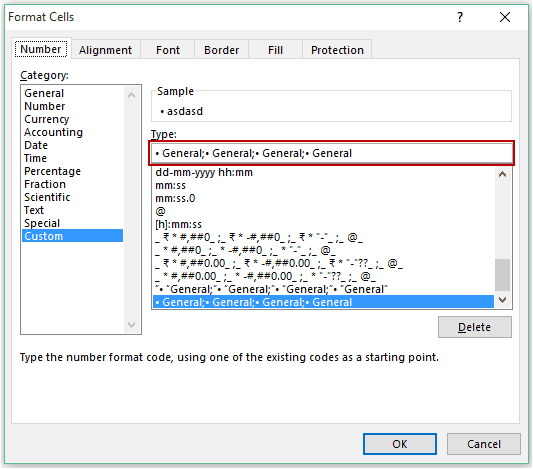 Select the cells on which you want to apply the custom number format (so that the bullet points are automatically inserted). Press Control + 1. It will open the Format Cells Dialogue box. In the Number Tab, select Custom. That’s it. Go to the cells and try entering anything. It will automatically show the bullet at the beginning. You can easily copy and paste a list with bullet points from MS Word into Excel. If you have a bullet point list in Word, you can paste it in either a single cell in Excel, or get each bullet point in a different cell. (Note: Copied list from Word and PowerPoint behave a bit differently when pasted in Excel). Copy the bullet points from Word. Double-click on the cell where you want to copy the list. Press Control + V to paste it. This will paste the bullet list in the same cell. Note: In this case, MS Word and PowerPoint behaves differently. 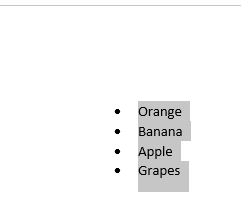 While the bullet list from word gets pasted as is (as shown above), the one from PowerPoint gets pasted without the bullet points. Copy the bullet points from Word or PowerPoint. Select the cell where you want to copy the list. These are the five simple ways you can use to add bullet points in Excel. Every method has its own benefits and can be used accordingly. Hope you have enjoyed this article. Let me know your thoughts by leaving a comment below. How to Insert Rows in Excel. How to Insert bullet points in Google Sheets. I can not insert bullets by Alt+7 or Alt+9 in Excel 2010. Why? #4 Custom Number Formatting allows the Numbers or Text to still be used as such. “● 1” & “● 2” in two cells added together will result in “● 3”. All other methods will result in an error. “● A” & “● B” concatenated will result in “● AB”, instead of “● A● B” with the other methods. However, if you have different symbols in the formatting and concatenate or add, the formatting of the result can be unpredictable. Thanks for commenting Jim.. These methods are not interchangeable but can be used based on the situation. As you mentioned, Custom Number format just changes the way data is displayed in the cell, but the data/values remain the same. #4 Using Custom Number Formatting.